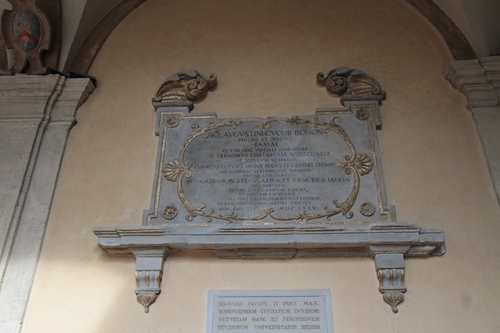 This memorial tablet in honour of Giovanni Agostino Cucchi can be seen in the east side of the upper loggia of the Archiginnasio Palace in Bologna (Piazza Galvani, 1). It dates back to 1635. 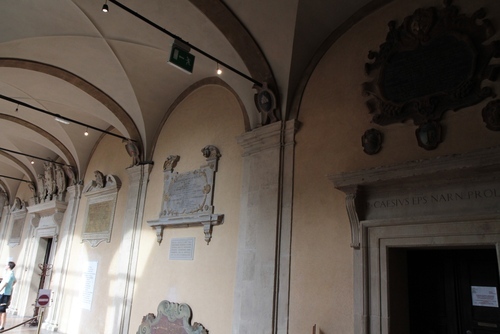 See the record of the Archiginnasio Digital Archive "La Storia sui Muri"